Hello Monday! 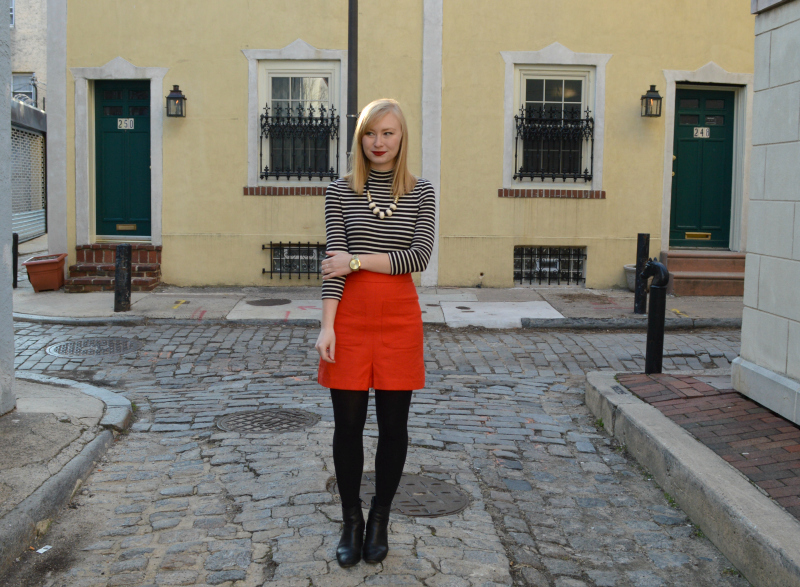 It's super dreary here in Philadelphia, so what could be more perfect than a bright reddish/orange skirt? 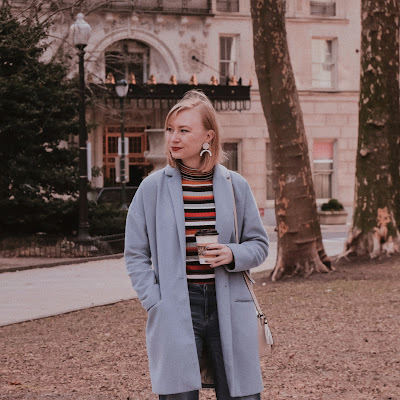 Right now I'm kind of on a stripes kick, as you can see from my last post, but then again, when am I not? 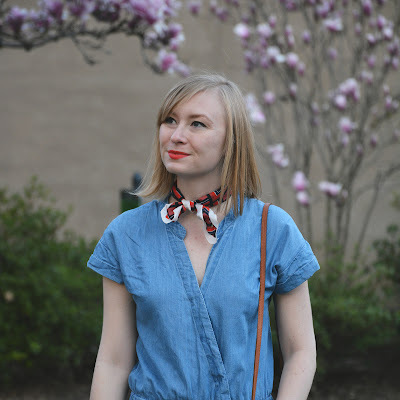 It was so refreshing to not have to wear any extra layers with this outfit all day long. Can't wait until I can also kick off these tights! 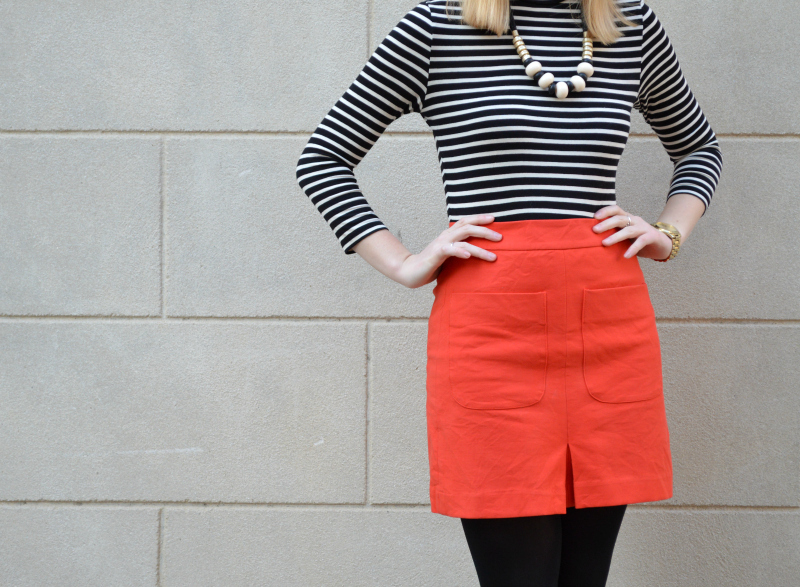 I'm thinking this skirt will be such a fun addition to my summer wardrobe, especially for beach days. And, it's already on sale for less than fifty bucks! The weather is so sad today.. it was impossible to get out of bed. 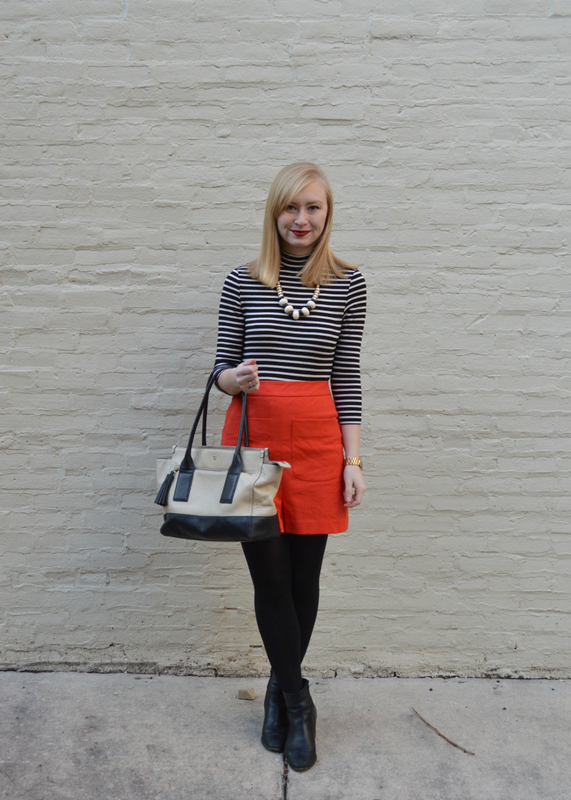 Loving the stripe trend lately as well!! Ugh this morning I had to get up at 6 (which felt like 5am) and get to Amtrak in the pouring rain, no fun! 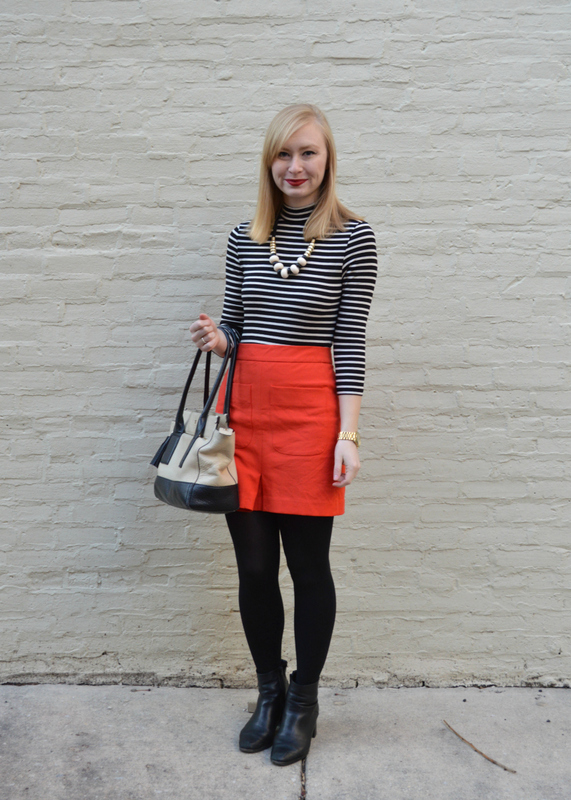 Love this bright skirt though, perfect thing to perk up your wardrobe for Spring! Looking lovely! Gorgeous skirt on a gorgeous top! 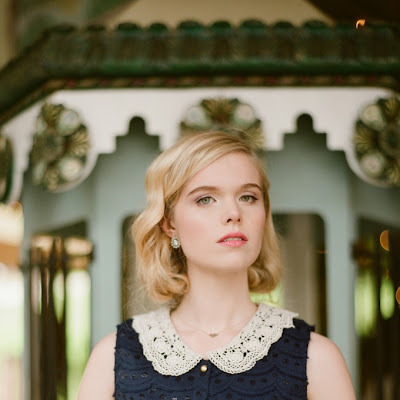 such a cute and classic combo. Have a great week. Really great look. 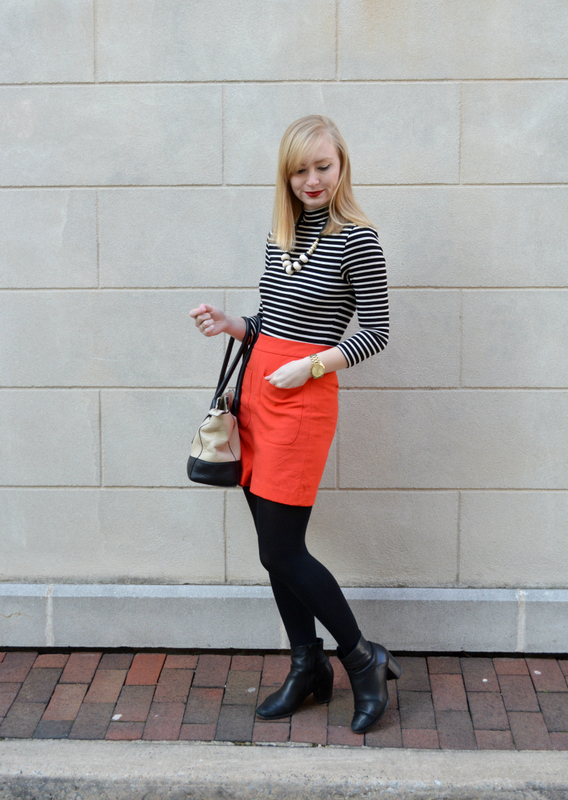 I love the contrast between the darker stripes and the bold colored skirt! Love your skirt! Looks so great! perfect combo! i like that red skirt on you! lovely! This is a very cute combo! So chic! That pop of red is just perfect! Even your dreary weather looks better than dull days in the UK lol. 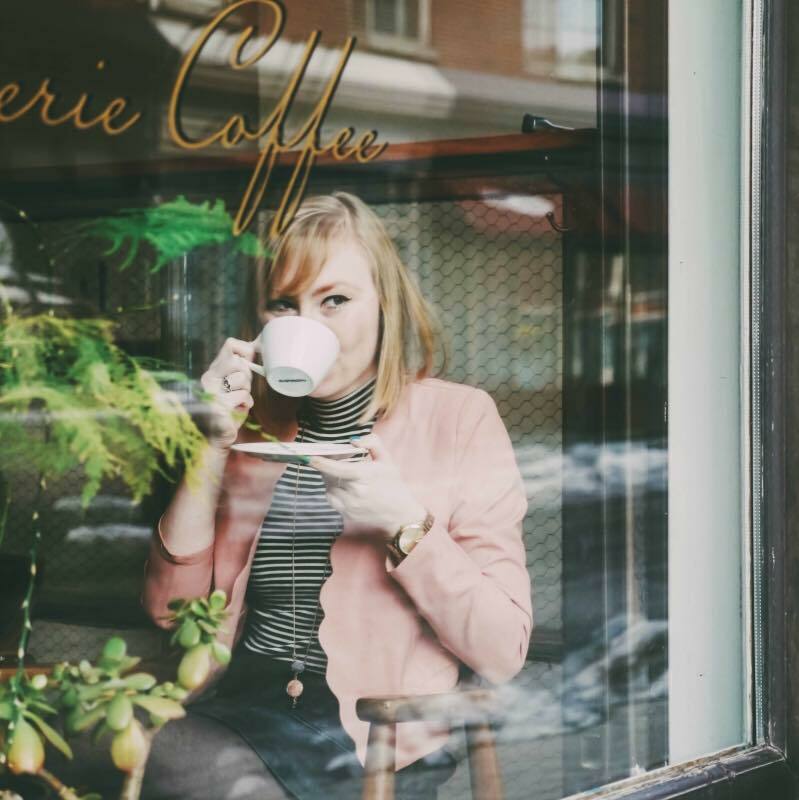 Hoping weather picks up here soon :) Fab post & a lovely look, thanks for sharing, babes. Your skirt is so cute and colourful with the neutral outfit! 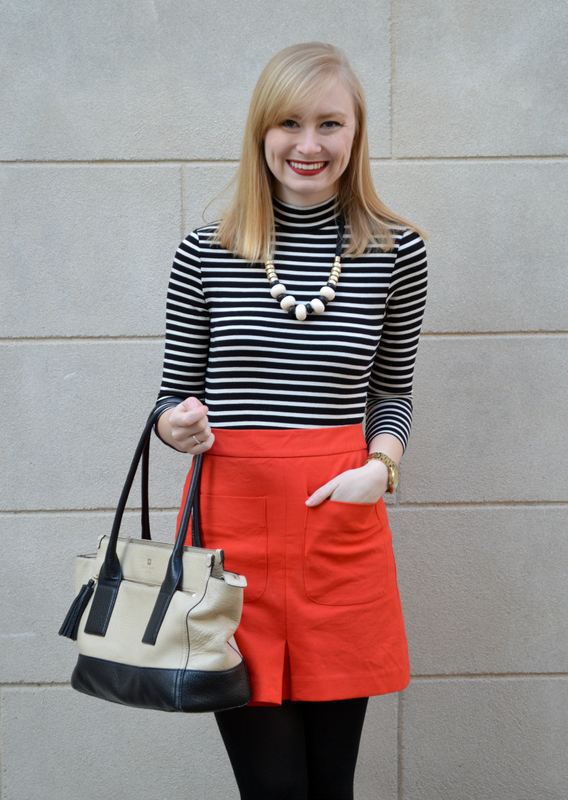 What a great way to add some colour, and it's just perfect with the striped top, like you said! You look so pretty ! 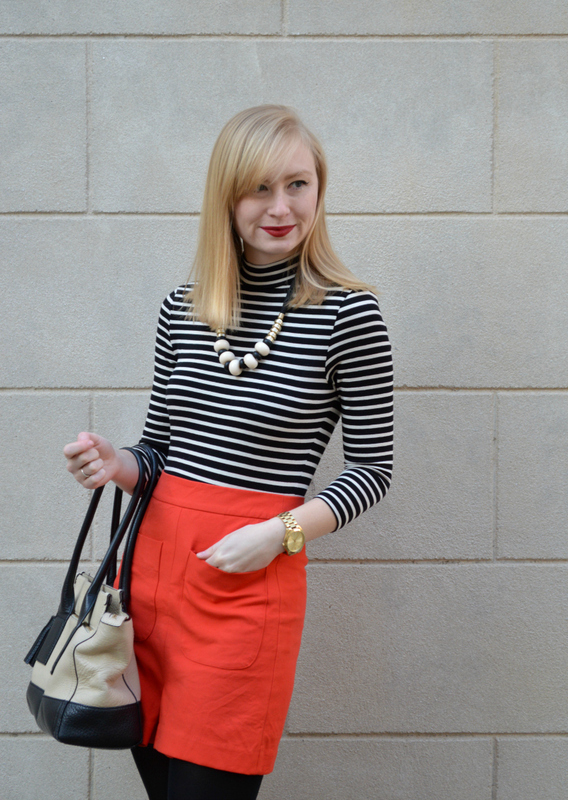 I love the statement necklace against the stripes! Such a bold and powerful look!